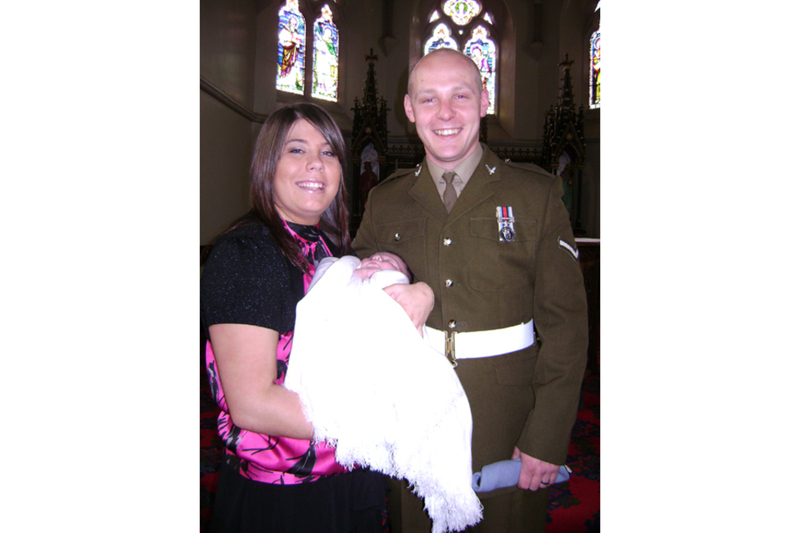 It is with profound regret that the Ministry of Defence must confirm the death of Lance Corporal David Kenneth Wilson on Thursday 4 December 2008, while serving on operations in Basra, southern Iraq. LCpl Wilson, who was serving with 9 Regiment Army Air Corps, was found at Basra’s Contingency Operating Base having suffered a gunshot wound. Immediate medical assistance was provided, but sadly he was declared dead at the scene a short time later. The incident, which occurred at 0900 hrs local time, will be subject to a full investigation. No enemy forces were involved and there is no evidence at this stage to suggest that anyone else was involved. LCpl David Wilson, aged 27, was born in Huddersfield to Ian and Doreen Wilson. He joined the Army in August 2003, completing Phase 1 training at Army Training Regiment Pirbright in November that year. He moved to 668 (Training) Squadron at Middle Wallop for specific training as an Army Air Corps Ground Crewman before being posted to 9 Regiment Army Air Corps in his home county of Yorkshire. Initially LCpl Wilson worked as a Ground Crewman in 672 Squadron, deploying to Afghanistan at the end of 2006 as part of Operation Herrick 5. More recently he moved to 659 Squadron as the Stores Corporal, deploying to Iraq on Operation Telic 12 with the Joint Helicopter Force (Iraq). A real family man, LCpl Wilson leaves behind his fiancee Michelle Curry, his 11-week-old daughter Poppy, his parents, brother, family and friends. He was well known for his generous, kind-hearted nature and willingness to help others. He was one of the more experienced junior non-commissioned officers in the squadron and his positive and infectious nature made him a popular and respected friend and colleague for many. David was a loving and devoted family man who was the light of Michelle’s life. The recent gift of their beautiful baby daughter had made his world complete. David wore his uniform with pride and was fulfilling his lifelong ambition to be a soldier. The family are extremely proud of him and our world will be a much sadder place without him. Words cannot express how much he was dearly loved. Lance Corporal Wilson was an excellent soldier who will be deeply missed. We have all had the privilege to serve with him and will fondly remember him as a chatty, affable individual who was always at the front of the queue to help others. A dearly loved father, our thoughts now sit firmly with Michelle and his family. LCpl Dave Wilson’s death will impact on all our lives but our thoughts go out to his fiancee Michelle, his parents, family and friends for whom this must be a devastating time - particularly as he only recently became a father and leaves behind a newborn baby daughter, Poppy. David was part of the fabric of the squadron, renowned for helping others, always happy, kind and positive - he will be truly missed. LCpl Wilson always lifted the mood in any room he entered. He was a popular soldier and friend to all, always willing to help those who struggled. His honesty, integrity and hard work were a good example to all. We will miss him. Dave was an outstanding soldier and good friend. Nothing seemed to faze him and his sense of humour was nothing short of ‘stage’ quality. He could always make others around him smile and his own smile was infectious. He will be very sorely missed. Dave was always the first person to shout across the car park and say hello€¦ a real team player. Dave was a funny and outspoken guy, always making me laugh with smart comments and a smile on his face. I remember him well from my time in 672 Squadron, always cheery and keen to chat. Such a loss. I was very saddened to hear about the death of Lance Corporal David Wilson. His colleagues and commanders have described him as a man who was always professional, courteous and extremely loyal - a testament to his family and an example to all. He is a sad loss to the Army Air Corps and my thoughts are with his family, friends and colleagues at this difficult time.